The objective of this adventure is to raise awareness and some money for a number of cancer charities, some of which helped Janie and I greatly in her fight against the disease. 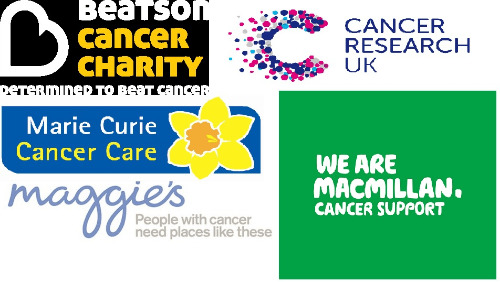 All of these charities do and with our support will continue to do good work helping people like us through their own battles with cancer. Beatson Cancer Charity is determined to beat cancer and is committed to securing significant funding to support and enhance the treatment, care and well being of current, former and future cancer patients and their families. Maggie’s Centres provide free practical, emotional and social support to people with cancer and their family and friends. We’re here for people living with any terminal illness, and their families. We offer expert care, guidance and support to help them get the most from the time they have left.